Thinglish Kitchen is our venture into the local Trat restaurant scene by my wife and Thai family. I’m spoiled daily with the amazing fresh food cooked and presented to me it would be a shame no one else could experience it too, so when we started discussing opening a restaurant, I was all ears! Our last piece of land near the public road we decided to landscape with a wildlife pond as the main feature, (you can read more about that here) and site the restaurant so patrons can eat in relaxed and pleasant surroundings. 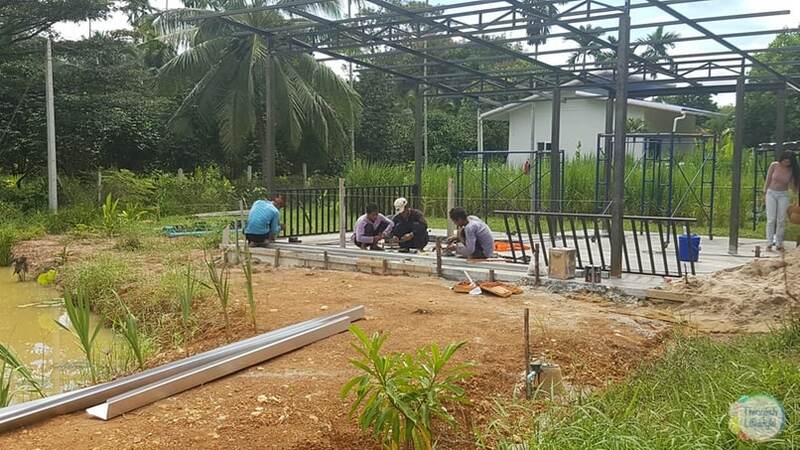 We hired a local construction company from San Tung who made a steel frame and concrete floor structure. The building process took 20 days. The kitchen is a spacious area with east and south facing windows. The main dining area is typical Thai style open air dining but covered from the sun and rain with a large overhanging roof. 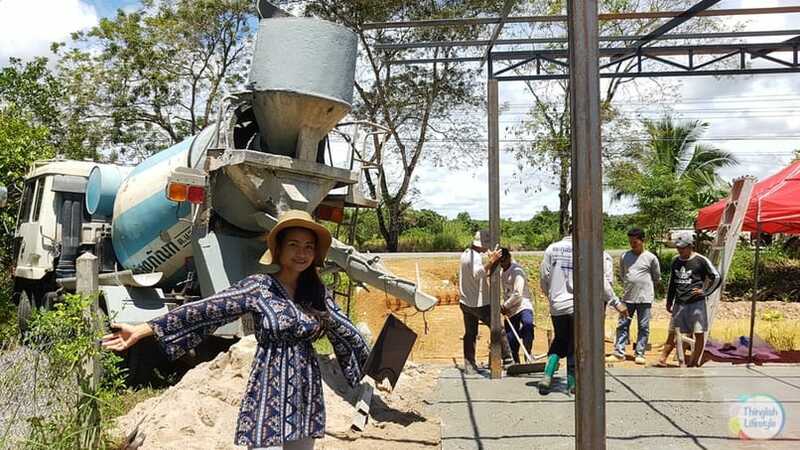 Water collected from the roof is collected in two ongs positioned behind the restaurant and will provide an extra supply for the raised beds during the dry season. We gravelled a path from the top road to the restaurant entrance and Papa Outlaw constructed gates and a fence. We used lots of plants we have grown from cuttings to beautify the garden area as well as two local nurseries where we purchased some trees and shrubs that were planted firmly in the ground or in containers at the front of the restaurant. 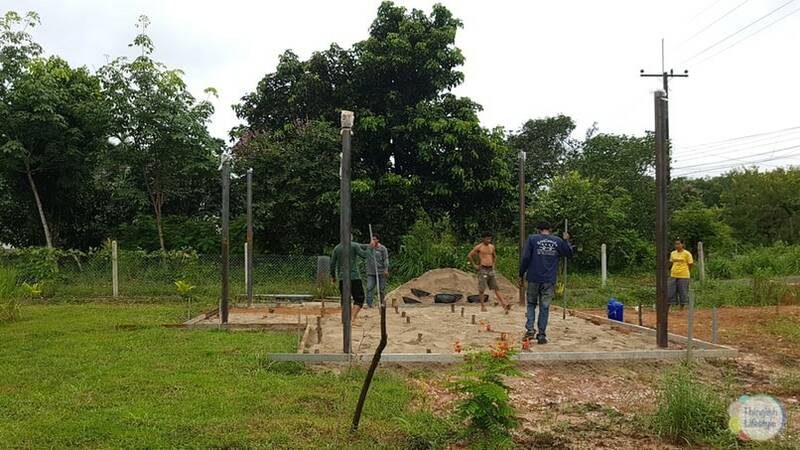 We will also be grassing a small area to the right of the restaurant, but alas this will be after the opening as we are still waiting for the delivery. As we are very much into growing our own food we managed to sneak a few edible plants into the landscaping including 50 pineapples, a dozen aloe vera, papaya, some spearmint and 4 beach cherry trees. I’ll also be adding some banana and if you look closely you’ll notice some of the ground cover is pumpkin. The Thinglish Kitchen will be opening on Tuesday 7 November from 9 to 5:30 daily. Food you can expect will be Thai favourites like noodles and krapow to fusion food such as black spaghetti to wanton cheese, plus desserts and of course everything has a Thinglish twist to tantalize your tastebuds. It’s tratlicious guaranteed! Check back for our next blog post when we do the big reveal of the finished restaurant. 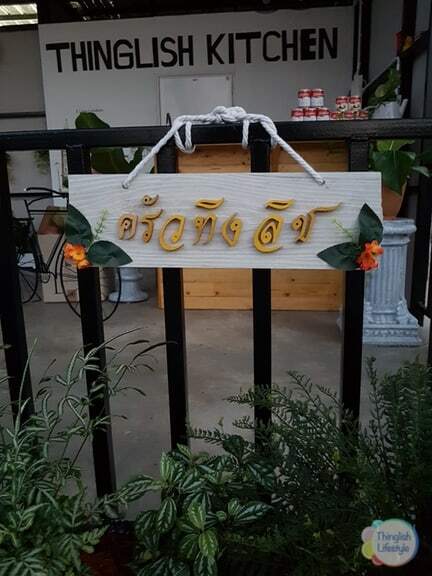 At Thinglish Kitchen we will welcome you and your family for the best in relaxed dining this side of the mighty Khao Saming River. 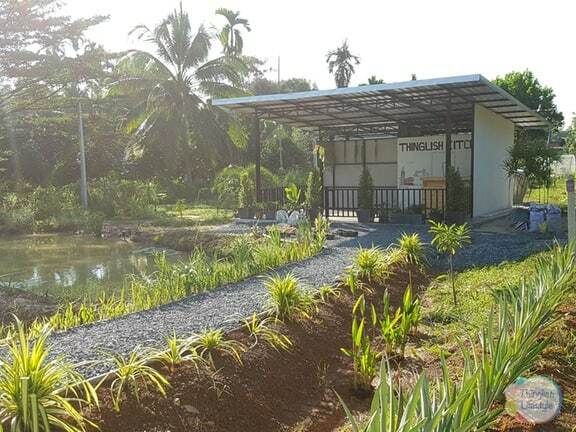 We are close to Wat Lamphuria and Lamphuria Riverside Resort and Spa in Khoa Saming District just off the Sukhumvit Road, approximately 9km from Trat City center. UPDATE: We are now open. Check out the menu and driving directions here. 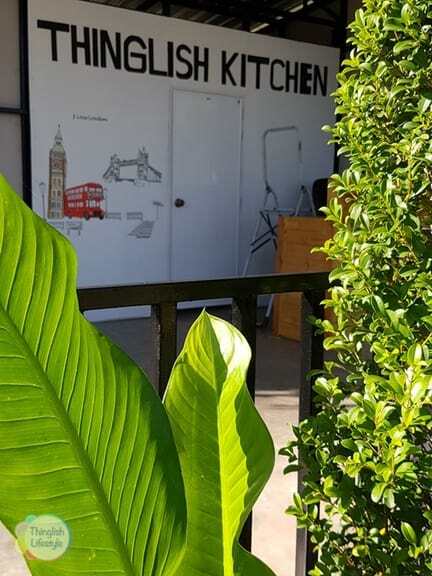 Thinglish Kitchen - We Are Now Open!